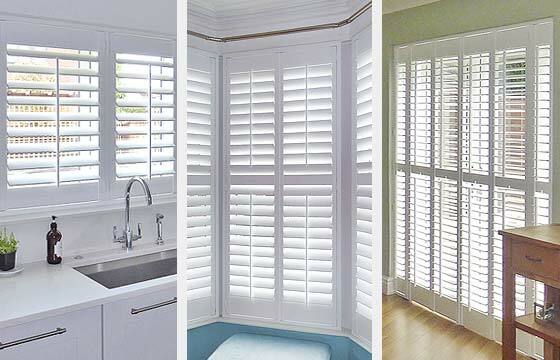 We have the perfect Plantation Shutters for your home, with shutters to suit every window and budget. We Always Guarantee Lowest Price and will beat any genuine “Like-for-Like” quote. Square window, traditional bay or patio door – you’ll love our newest range of wooden plantation shutters – custom made to fit any window size and shape. Made-to-measure to fit your lifestyle, our plantation shutters will look beautiful on your windows, and will also transform every room! Our Home Advisor will bring the full range to you, and help you to choose the best plantation shutters for your windows and budget. 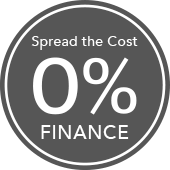 They’ll give you a no-obligation quote absolutely free! SAVE UP TO 25% OFF – offer ends 31 May. 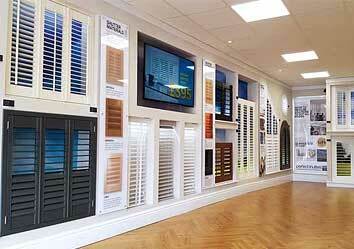 Did you know that Perfect Shutters have installed more plantation shutters across the North West than anyone? Each photo shown in our gallery is an actual customer’s home. 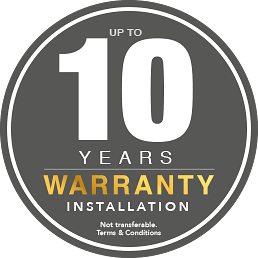 You can expect a 10-Year Installation Warranty as standard with our plantation shutters. We take great pride in what we do. Here’s what real customers are saying about us. 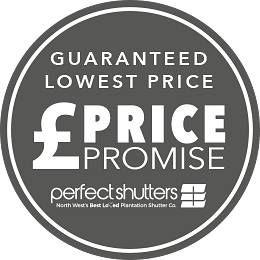 We are the biggest plantation shutters company in the North West – yet small enough to provide a truly personal and local plantation shutter service. We invite you to read our excellent reviews on Facebook or view hundreds of actual shutter projects in our gallery. We also encourage you to visit our showrooms and experience the fine quality of our S-CRAFT plantation shutters and discuss your project with our team. 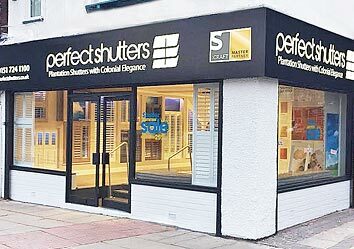 Our bright, welcoming plantation shutter showrooms on Merseyside and Wirral, have a huge range of full-size S-CRAFT shutters on display. We also have static displays at Taskers, where you can see our shutters and pick up a brochure. Taskers is open Sundays. Book a FREE Home Design Visit with our expert Advisor. They’ll bring the whole range to you, talk you through the options and recommend the best plantation shutters for your windows. Are you looking to install elegant plantation shutter blinds in your home without compromise? Then you’ll love Perfect Shutters. We only install premium S-CRAFT shutters; made to measure, and hand-crafted to ensure a perfect fit for your windows or doors. Plantation Shutters offer exceptional shade and privacy, as individual shutter panels can be independently tilted to filter harsh daylight and adjust your privacy – far better than traditional curtains. Shutters can also help prevent home furniture fabrics from fading from harmful UV rays and reduce street noise. Wooden shutter blinds can also provide energy insulation; helping keep rooms cool in summer whilst retaining warmth in those cooler months. Our tailor-made shutters accentuate the features of your room – from traditional bay window spaces to dining room or kitchen patio door areas. Perfect Shutters offer a range of shutters styles that can be custom-made for every size and window or door shape. For those larger spanning window areas, be sure to check out our Track shutters. Whatever your home interior project, we offer a choice of natural wood or engineered wood and a range of fashionable and custom paint colours or stains to suit the most discerning interior design style. Our S-CRAFT wooden shutters are extremely durable, and for those high moisture areas, we offer a waterproof material option that’s perfect for your bathroom and kitchen. All our shutters are almost maintenance free and with a quick wipe clean, will look good as new. We pride ourselves on having the same team of talented shutter specialists since 2004. 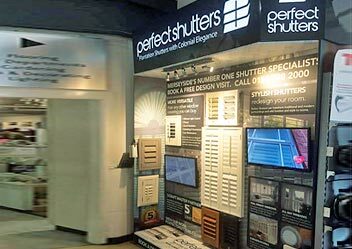 As a family-run business, we depend on locally-based experts to help you find the “perfect shutters”. Our specialist skills come from over 30 years of experience in dressing windows; ensuring your plantation shutter installation will be exceptional. 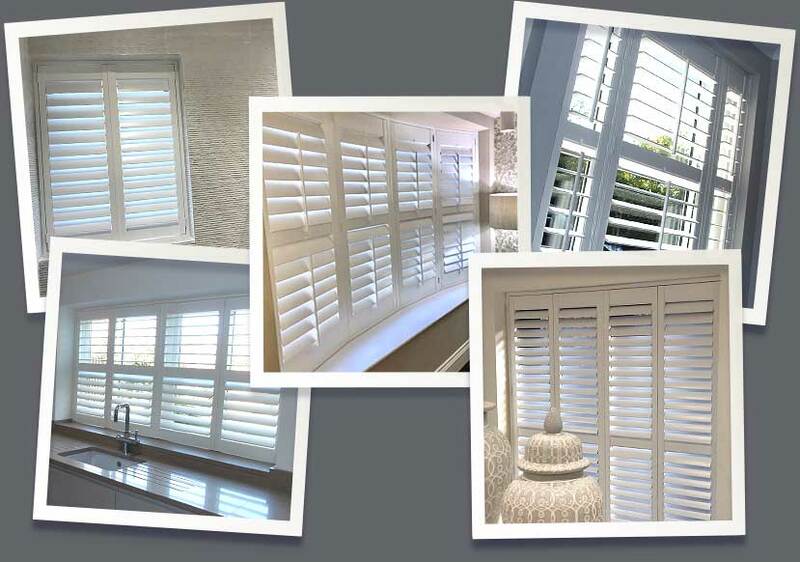 As the North West’s best-loved S-CRAFT Master Specialists, Perfect Shutters have plantation shutters to suit every budget. We always guarantee the lowest price for window shutters and show us any genuine “Like-for-Like” quote and we will aim to beat it.